Christmas is over (unless you celebrate all twelve days of Christmas and then my hat is off to you, friend). This of course means we are on the countdown to 2018, and I don’t know about you, but I am ready for a new year. This year was not without merit though. I mean, we watched a lot of Netflix. So there’s that. In fact, we watched enough shows and movies that I can give you a Top 5 As Voted on By the Sluiter Family. Technically this is mostly an Eddie pick, but I really loved this too. 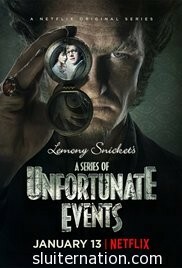 If you’re a Lemony Snickets fan, you’re sure to love the Netflix Original series based on the books. 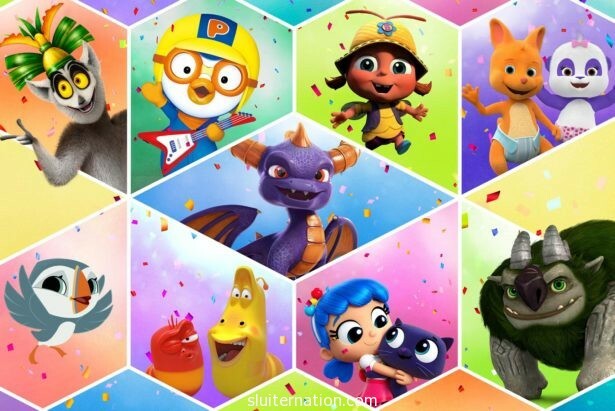 Alice loves the Beat Bugs mostly because she loves their songs…I mean The Beatles’ songs…that are in every episode. She dances around singing “Love, love, love…” It’s adorable. Until it’s not. The boys LOVE this show. Especially Eddie. When the new episodes came out, it was breaking news in our house. It’s cute, but there is a bunch of action in it, which of course my little dudes love. This is the one on here I haven’t actually seen, but when I was in St. Louis, this was a hit for Cortney and the kids. They all loved it and it helped Cortney keep his sanity as the solo parent for five days. 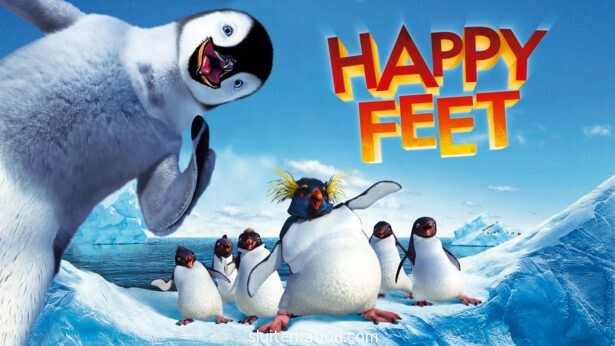 I am confident we have watched this no fewer than a hundred times this month. It is a family favorite. In fact, we have started singing “Christmas Monkey” as part of our own family tradition. We love that darn monkey! This New Year’s Eve, besides looking forward to waving 2017 goodbye, the kids are also looking forward to another round of NYE Countdowns from their favorite characters. Make sure you check those out too…because you can do them long before midnight! Disclaimer: This is not a paid post. 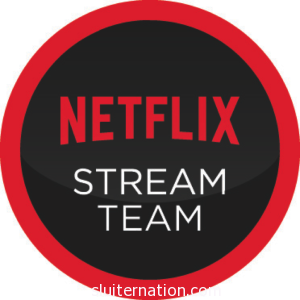 As a member of the #StreamTeam, Netflix provides us with streaming and a device for my family to watch it on. We watch a ton of Netflix and give our opinions once and a while. It’s a sweet deal. We don’t travel for the holidays because our entire family lives within a 45-minute drive from our house. In fact, we rarely travel very far with our kids. We are, what you might call, homebodies. This is not to say we haven’t made road trips with the kids. Generally speaking, our kids are usually pretty solid car riders–give them some Kidz Bop and they will happily ride without needing anything else to occupy them. 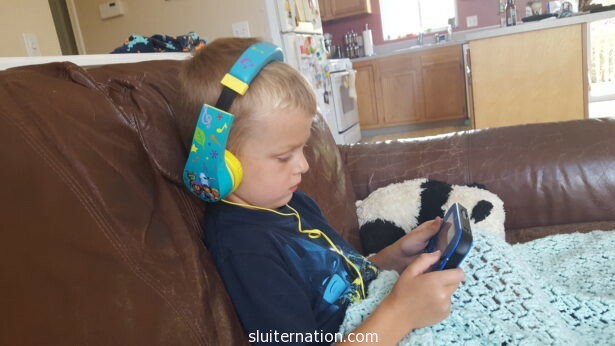 However the couple times we took kids to Chicago–a three-ish hour drive–we did, in fact, make sure we had some Netflix downloaded to the tablets and some “ear muffs” so we didn’t have to listen to it. Our Netflix reality is pretty much non-mobile these days, and everyone has their own To Watch List. Alice is a fangirl for all things Beat Bugs. She also loves PJ Masks and anything with Micky Mouse. I think we have watched every single possible Micky Mouse video available. Octonauts continues to be a hit with all of my kids. The boys have their sister-free hour of Netflix right after school while I make dinner. Charlie is on a Chuck Chicken binge right now, while Eddie usually chooses TrollHunters or Voltron. While I was in St. Louis, the family watched Boss Baby and loved it…even Cortney thought it was pretty funny. Cortney and I get somewhere around zero Netflix time to ourselves. We have about an hour after the kids go to bed before we are falling asleep on the couch ourselves. 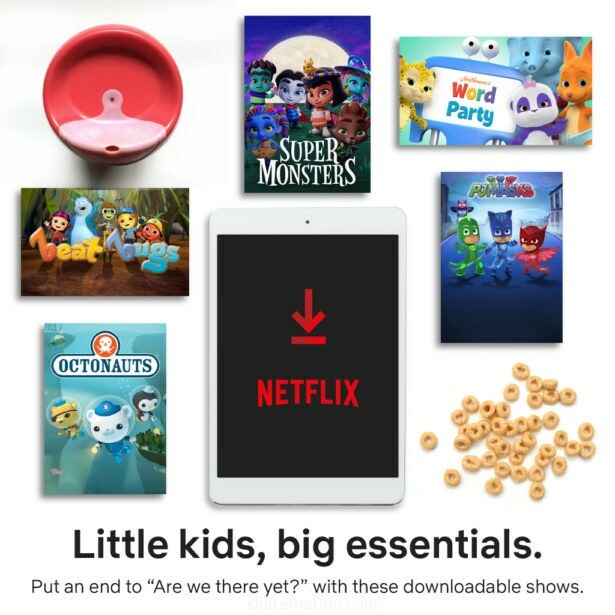 This means that about 95% of the Netflix watched in our house is done by people age eight and younger. It’s Ok, though. At some point we will get to finish watching the first season of Breaking Bad, right? And maybe someday I will be able to continue watching Orange is the New Black…seeing as the last time I watched it was while I was on maternity leave with Alice two years ago. Although on our immediate To Watch list is 13th because we enjoy documentaries to binge-watching an entire series. Rogue One is still on my short list too because STAR WARS! Maybe we will actually get time to watch during the holidays? Who am I kidding? The kids will take over and we be left without any access to Netflix. Growing up, my brothers shared a room in the basement of our house. My dad made them bunk beds, and of course, the oldest had the top bunk while my baby brother had the bottom. Next to their bed was a small nightstand. On top was a vintage lamp of a clown holding big plastic balloons. Underneath, it had a shelf that had a stack of children’s books. Most were from Scholastic book orders, and I can remember reading those books to my brothers when I babysat them. The older brother would hang over the edge of the top bunk to see the pictures, while my baby brother would lay on his side, cuddled in his bottom bunk. I would situate myself on the floor, leaning against the bottom bed. One recurring book choice was The Magic School Bus. My brothers and I went inside the human body and all the way to outer space with Ms. Frizzle and the students. We traveled into the Earth’s center and down into the deepest oceans. They were among our most favorite books. I was probably Eddie’s age when those books came out. I was in high school by the time the TV show came out, but my youngest brother was around Eddie’s age then. So imagine my delight when I found out that Netflix is now streaming the Magic School Bus series! Eddie and Charlie love shows that are nonfiction and teach them things without them really realizing that they are learning. Often they will blurt out facts about things, and when I ask, “where did you learn that?” They will say from some show or other. They area also taking right after their mom with wanting to Google more about things as we learn them. I can’t watch anything without Google in my hand (catch me watching superhero shows/movies and I am constantly trying to read more about their comic book origins), and I am starting to pass that habit down to the boys. The problem is that I am their Google since they don’t have phones/computers at ages eight and five! But you know what? I don’t even care! They are not just learning stuff, but finding joy in something that I loved as a kid too! The next thing we need to do is see if Grandma still has all those old books! I bet Eddie would enjoy reading them to his little siblings as much as I did to mine! Disclaimer: This is not a sponsored post. Netflix provides the streaming and a device on which to stream, but we watch what we want and provide the opinions and commentary. “What do you guys want to watch? 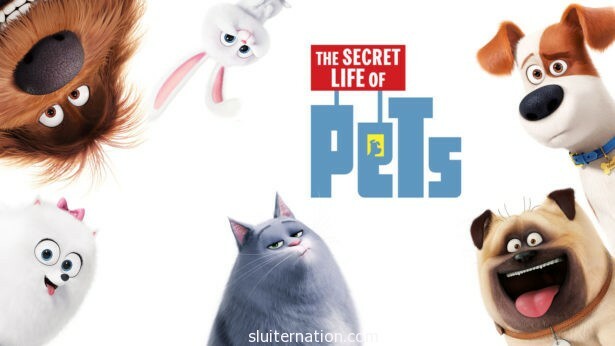 You can choose between Zootopia, Moana, Secret Life of Pets, or Trolls. Eddie: MOM! You always give those four. I want to watch something different! Eddie: You knew he was going to pick that! I’m not picking from that list. Charlie: It’s Zootopia then because Alice will pick Zootopia and Eddie votes for nothing, so no matter what mom votes for we win. Zootopia. Eddie: Maybe not. Alice? What do YOU want to watch? Eddie: UGGGGGGG!!!! I’m going downstairs to watch what I want. Me: No popcorn then. Only movie watchers get popcorn. Eddie: UGGGGGGGGGGGGGGGGGGGGGGG!!! This is not fair! Me: (munching popcorn) told ya so. 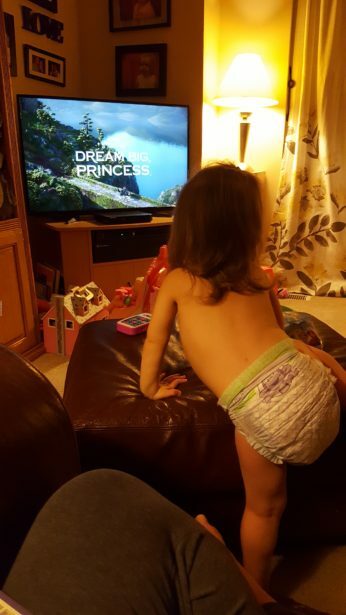 We all know that sometimes it takes a bit of creative persuasion to get someone in our house to watch what we want to watch. To be honest, I would have been cool with any of the movies I listed above, but I love Zootopia and I know if I throw it in as a choice, Charlie will pick it every time. But sometimes, rather than give choices, I just start something. You all want to watch a show? You will watch what I put on. Ok, some shows don’t take a lot of persuasion. Eddie: Hey Bird, ya wanna watch Trollhunters? Eddie: But it’s really good. There are trolls. And they get hunted. Eddie: You would like it. This works for grown-ups too. 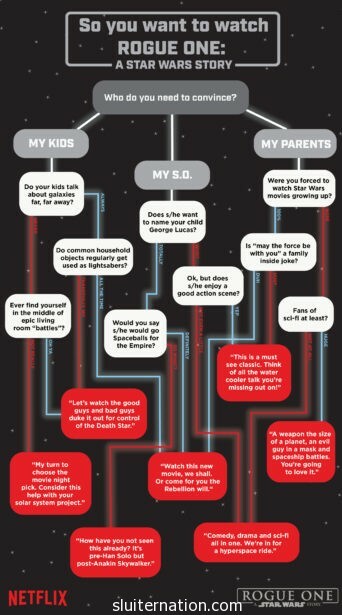 For instance, I love Star Wars. A lot. But I haven’t seen Rogue One yet because it’s apparently hard to get out of the house to go to the theater without kids. Cortney, however, is cool with Star Wars, but hasn’t even seen all of the Original Three. The art of persuasion man. *Disclaimer: This is not a paid post. Netflix supplies the streaming and a device to stream it on; we provide our opinions. 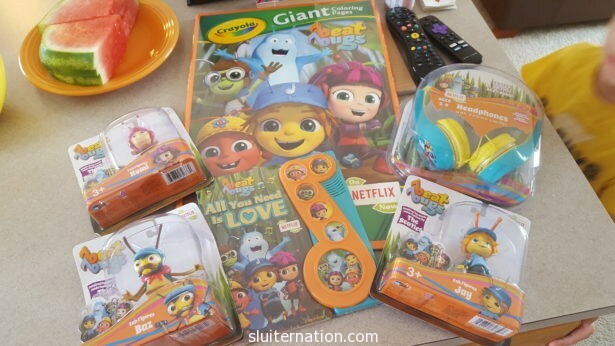 Beat Bug merch available at Target. 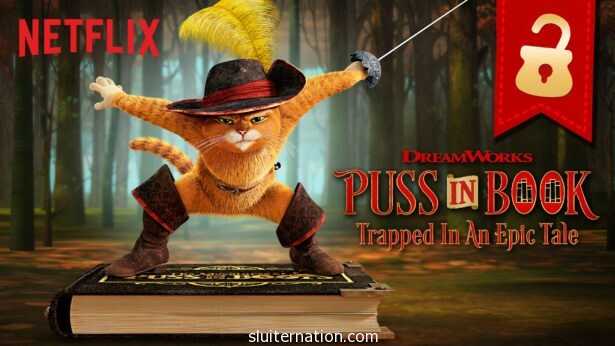 Netflix did send us that too. We love it. 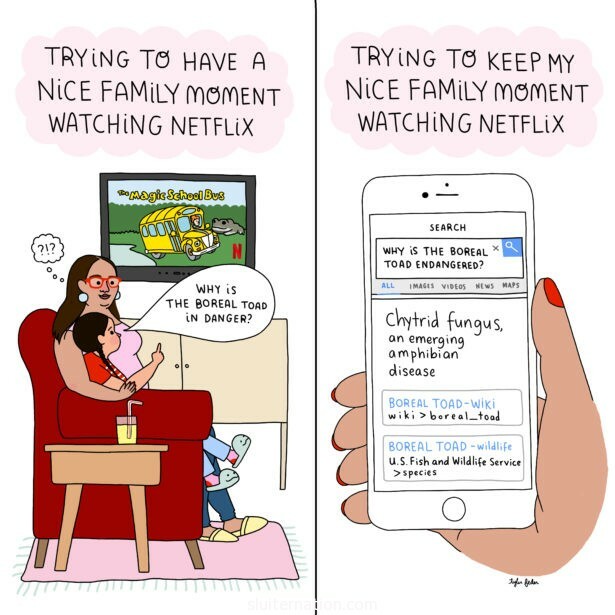 Recently I read some survey results that Netflix did indicating that 71% of moms admit that they “sneak” in Netflix time between all their busy momming duties. Some of the even hide in bathrooms and closets to catch the next episode of the new favorite show. This statistic really didn’t surprise me at all. Staying home with my kids during the summer definitely makes me feel like hiding–and sometimes I do, but with a book on the deck. And that is usually only in the summer since I’m at work teaching during peek Netflix sneak hours of the school year. But we do have a Netflix sneaker in our house: Eddie. He knows there are certain shows that I’m fine with him watching, but that I don’t want his younger siblings watching yet. Anything fighty like Pokemon or Troll Hunters I would rather he watch on his own. So while I’m doing something with Charlie and Alice upstairs, Eddie will suddenly disappear. When I head downstairs to do laundry, I will find him curled up in front of Netflix binge-watching every episode of shows like Buddy Thunderstruck. 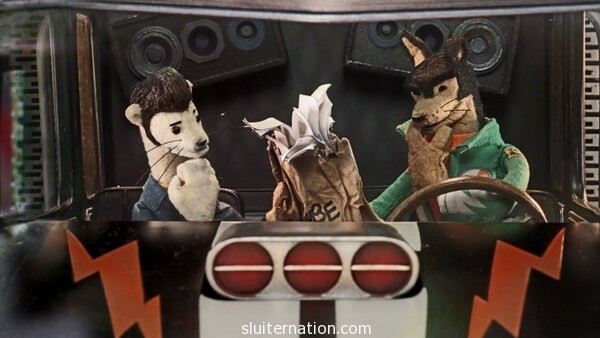 Buddy Thunderstruck is one of those “choose your own adventure” shows like Puss in Book is. Speaking of that boot-wearing cat, there are new episodes of Puss in Boots that Eddie likes to watch too. While he will sneak away during the day, his prime sneaky watching time is early morning. He tends to wake up around 6:30am, well before his siblings and I get up. 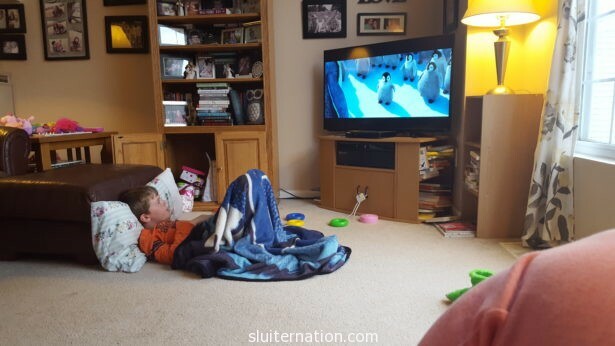 This morning, for instance, I found him in a little nest he built himself watching Sing, which was just released on Netflix and which he absolutely couldn’t wait for the rest of us to enjoy with him apparently. 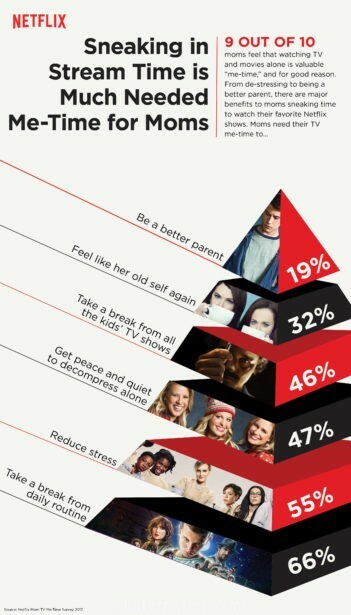 If I did stay home with my kids every day, all year long, I would probably become a Netflix sneaker too, to be honest. I imagine myself making the kids all rest during Alice’s nap and then I would binge on my ipad or something. Those surveyed said doing the sneaking gives them much-needed “me time.” What do you think? What kind of sneaky sneakerton are you? And what would you watch? 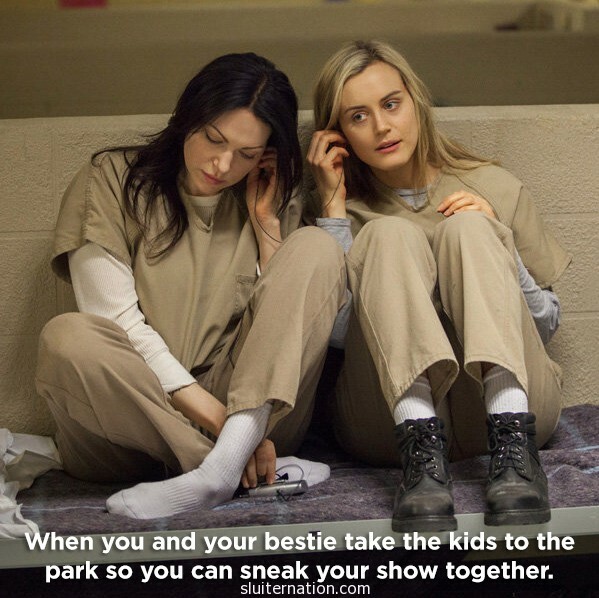 I would catch up Orange is the New Black since I haven’t watched any of it since my maternity leave with Alice. Disclaimer: This is not a paid post. Netflix provides streaming and a device on which to stream. 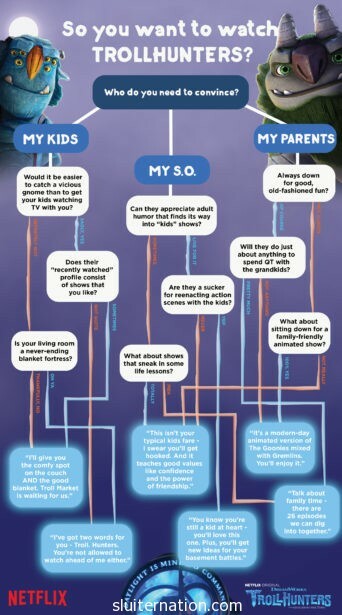 All opinions of shows are those of our family. Some more unfortunate opinions than others. Summer is supposed to be a break, right? The kids get a break from school and/or full-time daycare. I get a break from work. We get a break from School Year Schedule that is full and rigorous, and exchange it for a slower, more open Summer Schedule. 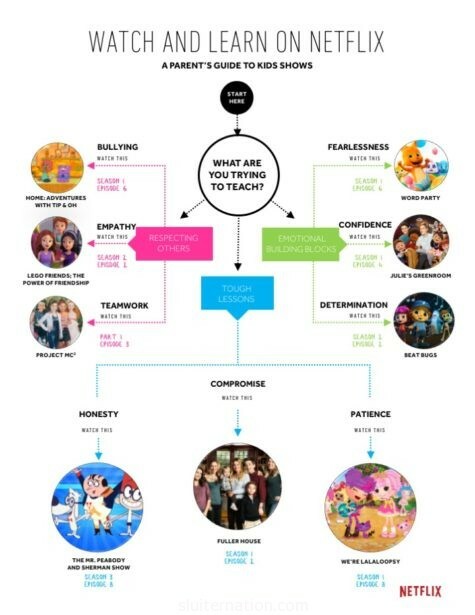 It’s supposed to be easy…well, easier anyway. Except that a lot of times it’s not easy at all. In fact, summer can be downright difficult. I’ve mentioned before that I try to have something for us to do each day whether we head to a park, the library, the splash pad, or the farmer’s market. But sometimes it rains. Sometimes the bickering and whining is too much that I don’t even trust that leaving the house will help–and it might actually result in a worse meltdown, and in public. We need some sort of break from each other on those days. Because we (let’s be honest here: I) need these breaks often, my kids probably get more screen time than most during the summer. Alice’s break is her nap (thank the Lord), but the boys need to be separated for part of the day too. Days like yesterday that are lovely and not so horribly hot that we feel like we are on the face of the sun, I shoo the boys outside. In fact, I may have even been so desperate for them to stay out of the house that I tossed their afternoon snack of a Popsicle off the deck and made them catch them. Allegedly. But on days like Monday and Wednesday when the storms started around 9am and continued ALL DAY LONG, they needed something else. You know this means Netflix. Netflix is the way we take a break from each other. Our house is not that big. It’s easy to be all in each other’s business, so the boys can either sit in separate chairs and watch the same thing like Puss in Book: Trapped in an Epic Tale–which is kind of cool because it’s like a choose your own adventure show. They giggle about songs and choose which way to have the story go. Or if the need to be physically AWAY from each other (or I get sick of the stupid “trout” song on Puss in Book), one can be upstairs watching Octonauts (Charlie) on our smart TV, and the other can be downstairs watching the latest episodes of Dawn of The Croods (Eddie) on the Wii. Sure we also play games or read books, but let’s be real. The best way to make the house quiet is to turn on something everyone wants to watch. Which is probably why we watched Zootopia again this week. Twice. Disclaimer: This is not a sponsored post. Netflix provides streaming and devices to watch it on, but we choose what we watch and provide our own opinions. And yes, we really do love Zootopia that much. It’s almost a sickness. We are a family of book lovers. In fact, one of Alice’s first words was “booky,” Charlie pretends to read books to Alice, and Eddie had his nose in a book this morning before I left for school. We get upwards of 40 books a week at the library in the summer and blow through all of them. My To Read pile is almost as tall as I am. 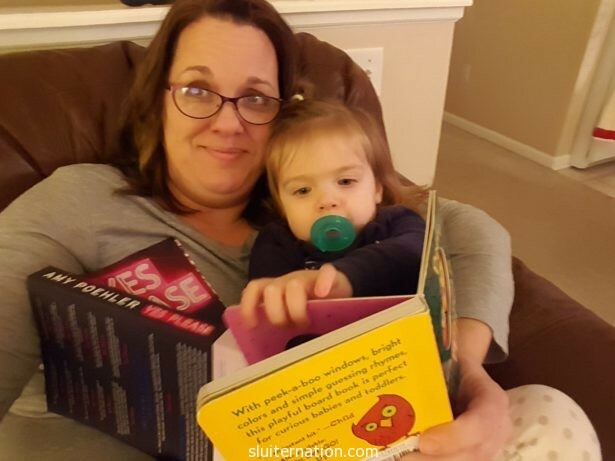 We are a family of readers. Cortney read The Hunger Games trilogy and loved it, so I got him Divergent. Although he hasn’t cracked it open yet, I was confident he would. We do not fool around here. But I have a confession. Sometimes we cheat on books with Netflix. It’s true and it’s almost hard for me to type these words, but Netflix has tons of great movies and shows based on books, and some of them we have watched without actually reading the book first. For instance, we have watched The Jungle Book numerous times without actually having ever read it. Ever. We even own it. Maybe this is Ok, right? Because it’s a kid’s book? Maybe we get a pass? And Eddie really loves Charlie and The Chocolate Factory. The newest one is not my favorite solely based on the ending, but Eddie enjoys the weirdness of it. I will say we have read Roald Dahl’s version, but the boys were pretty little and I know my own Charlie doesn’t remember it. Eddie does, though. 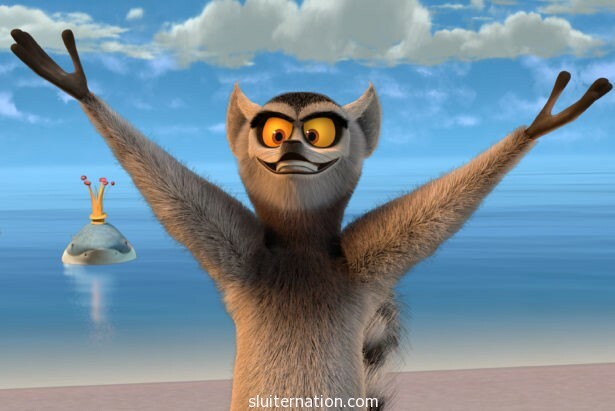 And like his mom, he is quick to point out the differences in the movie from the book. Good boy. 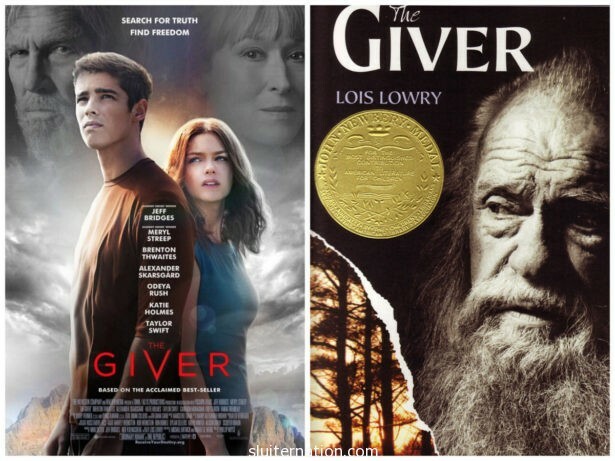 I am currently teaching The Giver to my 8th grade students, and I have actually not watched the 2014 movie yet. 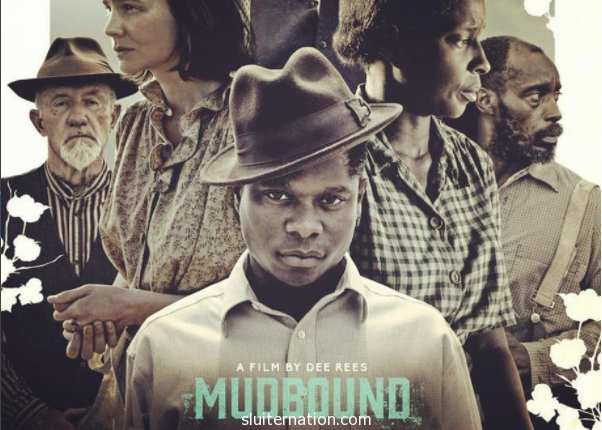 It’s on Netflix and I plan to watch it this weekend while I’m on midwinter break. But I plan to watch it with Cortney who has not read the book. I’m a cheating enabler!! (It should be noted, though, that he will watch it and become increasingly annoyed with my commentary about how it is not like the book). 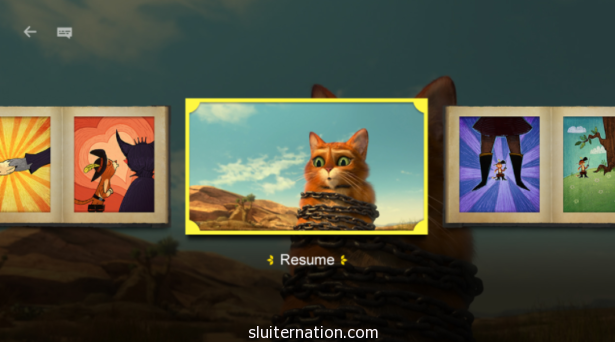 Probably our worst offense, however, is that Eddie has been binge-watching A Series of Unfortunate Events and I have been encouraging it–even watching it with him from time to time (I can’t help it, I love Sunny! )–and NO ONE IN THIS HOUSE has ever read ANY of the books. But we can’t help ourselves! And I do have the full intention of getting the Lemony Snicket’s books for our home library so the kids (and I) can read them together. Really. So tell me…how do you cheat with Netflix? Do you watch shows before your partner can get to them? Do have a guilty pleasure you let yourself indulge when you should be doing something else? Spill the beans, yo. Disclaimer: This is not a sponsored post. 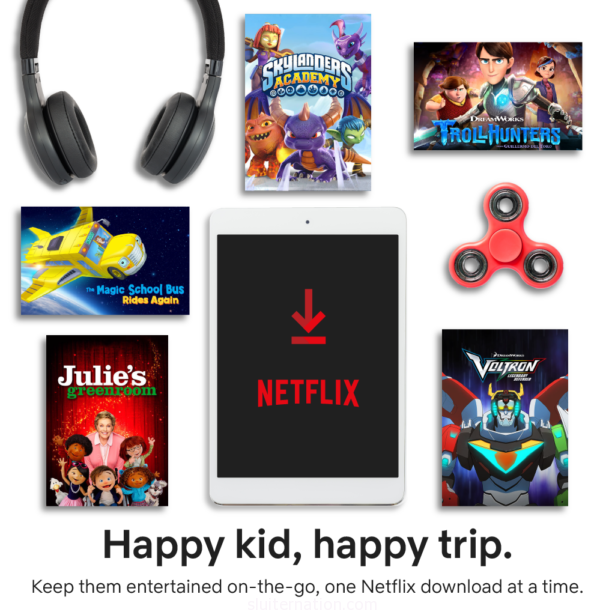 Netflix provides a year of streaming and a device for our family to watch it on. I am not paid for this content. The opinions are all our own. 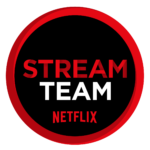 I am part of Netflix’s Stream Team, and I love it, yo.